The one thing you can depend on in Cold Sassy, Georgia, is that word gets around—fast. When Grandpa E. Rucker Blakeslee announces one July morning in 1906 that he's aiming to marry the young and freckledy milliner, Miss Love Simpson—a bare three weeks after Granny Blakeslee has gone to her reward—the news is served up all over town with that afternoon's dinner. And young Will Tweedy suddenly finds himself eyewitness to a major scandal. Boggled by the sheer audacity of it all, and not a little jealous of his grandpa's new wife, Will nevertheless approves of this May-December match and follows its progress with just a smidgen of youthful prurience. As the newlyweds' chaperone, conspirator, and confidant, Will is privy to his one-armed, renegade grandfather's second adolescence; meanwhile, he does some growing up of his own. He gets run over by a train and lives to tell about it; he kisses his first girl, and survives that too. 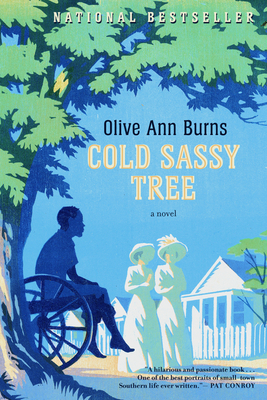 Olive Ann Burns has given us a timeless, funny, resplendent novel - about a romance that rocks an entire town, about a boy's passage through the momentous but elusive year when childhood melts into adolescence, and about just how people lived and died in a small Southern town at the turn of the century. Inhabited by characters who are wise and loony, unimpeachably pious and deliciously irreverent, Cold Sassy, Georgia, is the perfect setting for the debut of a storyteller of rare brio, exuberance, and style. Olive Ann Burns was born in 1924 on a farm in Banks County, Georgia, and went to school in nearby Commerce, which was the model for Cold Sassy. She attended Mercer University in Macon, Georgia; received a degree in journalism from the University of North Carolina at Chapel Hill; and for ten years was on the Sunday magazine staff of the Atlanta Journal and Constitution. She turned to fiction writing as a respite during treatment for cancer. She completed Cold Sassy Tree and a partial manuscript for its sequel, Leaving Cold Sassy, before her death in 1990.